Add the Magna-Tiles Cars 2 piece Expansion Set to any Magna-Tiles collection and get your creations moving! 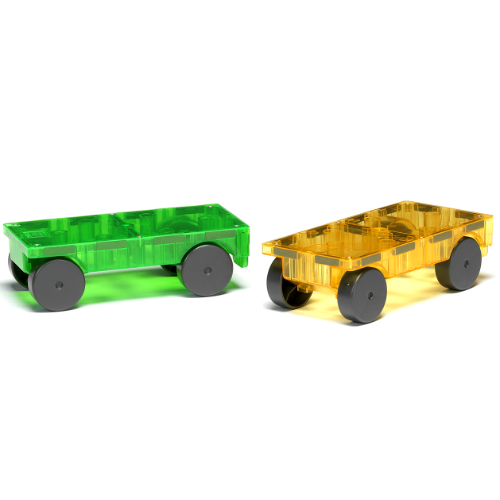 Design and create your own moving pieces and drive them around your Magna-Tiles structures. 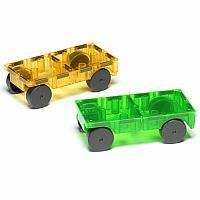 This set is an accessory set for any Magna-Tiles sets. Includes 2 wheeled chassis. Measures approximately: 9.00 x 7.50 x 2.25 inches..